In Alabama, hundreds of people collecting Social Security benefits are dealing with scammers, WHNT reports. Fraudsters are working hard to mine personal information from beneficiaries in an attempt to cash in on victim's benefits. The trend isn’t unique to individuals living in Alabama, in fact; in early June the Social Security Administration released a warning about impersonators using phone calls, emails, and other methods to obtain people’s personal information. Given the importance of Social Security Disability Insurance (SSDI) and Supplemental Security Income (SSI) benefits in people’s lives, it is crucial that beneficiaries do everything in their power to protect the personal information. Phishers typically use the phone as a means of harvesting Social Security Numbers, addresses, and dates of birth from unsuspecting persons. If you are receiving suspicious phone calls from people claiming to work for the administration, you should take action immediately to protect your account. Andrew Cannarsa, OIG Communications Director, writes that citizens should report suspicious activity to the OIG at 1-800-269-0271 or online via https://oig.ssa.gov/report. While the SSA may contact beneficiaries in certain situations, there are questions that such representatives would never ask; never provide SSN or bank account numbers to unknown persons over the phone or internet unless you are confident of to whom you are speaking. It is always better to err on the side of caution than risk losing access to your benefits. “Be aware of suspicious calls from unknown sources, and when in doubt, contact the official entity to verify the legitimacy of the call,” said Acting Inspector General of Social Security, Gale Stallworth Stone. 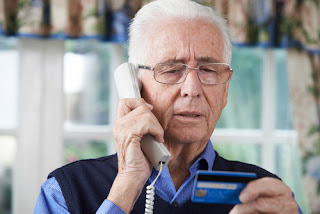 In some circumstances, beneficiaries will answer the phone to hear an automated recording stating that their Social Security number (SSN) “has been suspended for suspicion of illegal activity.” The recording tells the listener to call a number to resolve the issue, or their assets will be frozen. This is a scam! Contact your local Social Security office or call Social Security’s toll-free customer service number at 1-800-772-1213, to verify the legitimacy of any email, letter, text or phone call—claiming to be from SSA or the OIG. Navigating the process of applying for Social Security benefits can be complicated and confusing; it is always sound to have a legal expert in your corner. If your application for SSI or SSDI was denied, please contact Attorney Driscoll for guidance.